On January 3, 2017, the Senate Budget Committee Chairman, Mike Enzi, introduced a budget resolution that includes instructions to Congressional committees with health jurisdiction to repeal the Affordable Care Act (ACA). It did not offer details though for a replacement plan, which GOP leaders have said will come after the ACA is repealed. Debate on the resolution is expected to start today. The committees will have until January 27, 2017, to draft reconciliation bills, which will be combined for consideration by both the U.S. Senate and House of Representatives. This is just the first procedural step in the ACA repeal process. 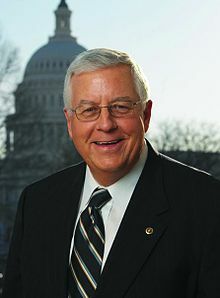 You can read a January 3, 2017, Morning Consult article by Mary Ellen McIntire here for more details about Chairman Enzi introducing this budget resolution with the ACA repeal included. In addition, general information about the ACA can be found on the AHCA/NCAL website here. AHCA/NCAL will keep its membership apprised of further updates relating to this matter.